For students interested in a career in engineering, the future looks bright. According to the US Bureau of Labor and Statistics, the demand for engineers is expected to grow at least 11 percent by 2023. At Embry-Riddle, we’re preparing our students to help fill the demand for engineers with the new Bachelor of Science in Engineering degree at our Worldwide Campus. Designed from a multidisciplinary perspective with subject matter ranging from mechanical, electrical, aeronautical and systems engineering, the program intends to help graduates bridge the gap across disciplines to explore innovation solutions to many tasks. When students study at the Worldwide & Online Campus, they become members of the ERAU community, complete with its many networking opportunities. Embry-Riddle Aeronautical University offers the Bachelor of Science in Engineering (BSE) through our newly formed partnership with ERC Institute. The ERC Institute partnership provides us with the ability to host students in a full-time and part-time classroom capacity. The Embry-Riddle Aeronautical University BSE program in Singapore is the same program offered in the United States, Europe and online, with enhancements to satisfy the unique demands of aeronautics professionals in Singapore and the surrounding regions. 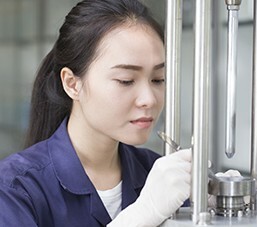 The cost of the Bachelor of Science in Engineering (BSE) degree is dependent on the number of credits a student is required to take to complete the degree requirements. The Bachelor of Science in Engineering (BSE) degree is designed from a multidisciplinary perspective with subject matter from mechanical engineering, electrical engineering, aeronautical, and systems engineering. The educational focus is anticipated to support the growth and innovative development of aerospace technologies and systems and address current industry challenges. The program educational objective is to graduate engineers that can enter into research, development, and design positions, function effectively on multidisciplinary teams, and contribute to the advancement in engineering-related projects upon graduation. The BSE targets the high-school graduate, in addition to non-traditional and transfer students, to provide knowledge, skills, and abilities (KSAs) correlating to comprehension and application of essential engineering concepts. The curriculum features: 19 hours of mathematics, 10 hours of calculus-based physics, 66 hours of engineering, 6 hours of a senior level design project, and 27 hours of economics, communications, social sciences, and humanities. Current Worldwide students requesting a change of program to the BS in Engineering degree program must complete the English and Math Skills Assessments and place into ENGL 123 and MATH 241; OR demonstrate transfer credit reflecting academic preparedness for immediate entry into ENGL 123 and MATH 241; OR successfully complete Embry-Riddle prerequisite coursework for immediate entry into ENGL 123 (ENGL 106) and MATH 241 (MATH 142 or 143). Embry-Riddle courses in the general education categories of Communication Theory and Skills, Humanities, Social Sciences, Physical and Life Science, Mathematics, and Computer Science are given in the list below, assuming prerequisites are met. Courses from other institutions are acceptable if they fall into these broad categories and are at the level specified. Valentina Waters, an Embry-Riddle Worldwide Campus Engineering senior, believes in helping others, and she sees science as a way to magnify her efforts.